Assam Forest Department has released a notification for 710 Forest Guard, Junior Assistant & Other Vacancy. After Closing of Online registration Process, Department is going to conduct written examination for various Vacancy. Registered candidates can download your Assam Forest Department Admit Card 2017 from here or from official website. Assam Forest Guard Admit card will publish on official website. We are providing direct link to download Hall Ticket. Forest Department, Assam has published a advertisement for 710 Forest Guard & Other Vacancy. Recently the department has released a notification for announcing Exam date. Candidates who had applied online/ offline application form can download your Assam Forest Department Admit Card 2017 from here before exam date. By using your Exam Reg. No. you can easily get your Assam Forest Admit Card 2017 from here. For more information about Assam Forest Guard Hall Ticket, Exam Schedule & other, check given below details. Fresh Update (23.11.2017) : Dear Applicants, Assam forest Department is going to organize PST & PET Examination for 90 Constable Vacancies under Special Tiger Protection Force. Physical Standard & efficiency Test is going to held on 08.12.2017. Assam Forest Department Admit Card for Constable Vacancy is going to released 23.11.2017 (today). Candidates keep in touch with this page for Downloading PST & PET Admit Card. Fresh Update (29.07.2017) : Candidates, Assam Forest Department has issued Exam Admit card for Junior Assistant Jobs. candidates can download tour Assam Forest Admit card from here. Link for downloading Assam Forest Department Admit card is shown below. Fresh Update (28.07.2017) : Dear Applicants, Assam Forest Department has issued Notice for announcing New Exam date for Junior Assistant Exam (Which was going to held on 09th July 2017). Now Exam Is going to organize on 06th August 2017. Check Exam date Notice for Junior Assistant Exam which is shown below. Assam forest Admit card will issued soon, keep visit here for downloading JA Call Letter. Fresh Update (10.07.2017) : Dear Applicants, Assam Forest Department has cancelled the Junior Asst Written Examination at the College of Veterinary Science, Khanapara, Guwahati. Check Exam Cancellation Notice & re Exam date from here. Also Check frequently Asked Question for Assam Forest Guard examination is mention below. Fresh Update (05.07.2017) : Dear Applicants, Assam Forest Department has issued Junior Assistant (Directorate & District) Admit Card on official Website. Interested applicants can check & download your Assam Forest Department Admit Card from here, link for Downloading Junior assistant Hall Ticket is given at the end of the page. Why Assam Forest Department Call Letter 2017 is Compulsory ? Forest Department Assam has published recruitment advt for 710 Forest Guard, JA & Other Vacancies. Both Online and Offline registration started from 19.12.2016 & Closing date for submit application from was 31.01.2017. A large no. of applicants had been applied application for Assam Forest Department vacancy 2017. Now the details is going to conduct written Examination for various Posts. Inserted candidates can download your Assam Forest Department Admit Card 2017 from here. You can check more details about Exam is given here & Link for downloading Assam Forest guard hall Ticket is mention below. Selection of the candidates for Assam Forest Department Jobs will be on the basis of Departmental Exam Scheme. department will conduct written examination for Forest Guard, Junior Assistant Vacancy. For remaining Vacancy selection will be based on Skill Test. Written exam will be objective type in nature. Total time duration of exam will 02 hours. For Forest Guard Vacancy final Selection of the candidates will made on the basis of Physical Fitness Test. 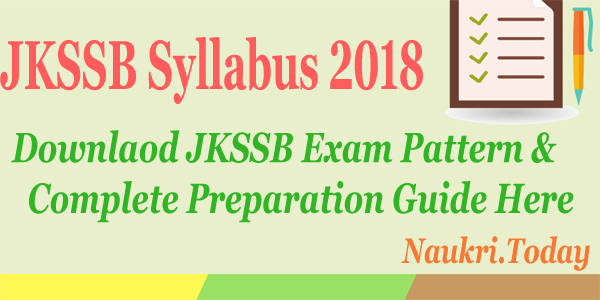 You can check Full Assam Forest Department Syllabus from here for better preparation. Post wise Exam Procedure will also mention n Assam Forest Department admit card 2017. Candidates who are searching for Assam Forest Dept Admit card 2017 are inform that department will issue admit card 10 days before exam. The Assam Forest department ahll Ticket will publish on official website. Registraerd candidates can also check your Assam Forest Guard Call Letter 2017 from here. By the help of for Registration ID & password, you can easily print your Forest Guard Admit Card 2017. Assam Forest Department Admit Card 2017 is must compulsory for each participant to carry in examination. When you going for write in the written examination, Exam Invigilator will ask you about your Assam Forest Department Junior Assistant Admit Card 2017. If you have registered for exam, show your exam call letter & valid photo identity proof. Without exam hall ticket/Permission Letter, candidates will not allowed in Examination Hall/ Room. Important Instruction : Candidates should also carry a valid photo id proof along with Assam Forest Department Junior Assistant Call Letter 2017. Invigilator will check your ID Proof before entry in examination gate. What are the compulsory documents to be carried at the exam time, given as below. 6. Forest Guard Hall Ticket Download Copy. Applicants who are waiting for Assam Forest Department Admit card 2017, Now the time for downloading it. The process for downloading Assam Forest Guard Admit card 2017 is mention here. First of all candidates read all the steps properly then click on download Forest Guard Hall Ticket link. Applicants should visit this page for more updates related to Assam Forest Department Recruitment News. Applicants, first of all log on to the official website www.assamforest.in. Now click on Download Assam Forest Department Junior Assistant Admit Card Link. Make all the required information in form like Registration No. & DOB. Check all details from Assam Forest Guard Admit card which shown on screen. Take print out of admit card for future use. 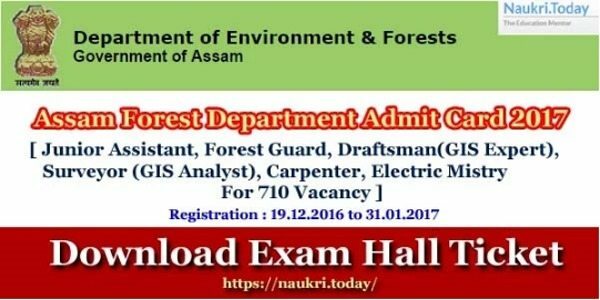 Assam Forest Department Admit Card 2017 For 710 Various Vacancy. Candidates can check Assam Forest Department JA Admit Card 2017 form here before examination. Keep visit this page for future updates. 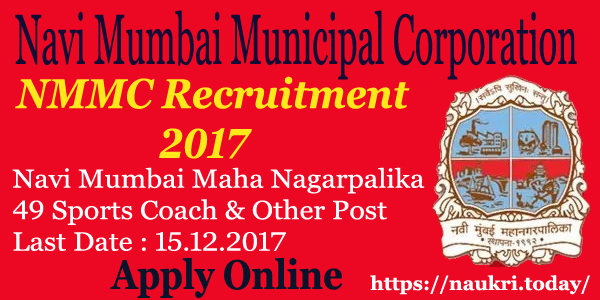 Meri Forest guard ka admit card kob milega, jarur bataye na. meri mobile number yeh hey 8399828838.
sir………..assam forest guard ki exam kob hoga? and admit kob melega?please botaiea na sir? Hi sir assam forest guard admits ketiya ahib.pls phone kriba .my phone number 8486157345..
sir the last date for biomatric registration was on 19june but hv send sms of this information on 20june.how cn u all assam forest department b so careless. 1087907 my application no. I didn’t found my no. and date for biometric…. plz help me and inform immediately…..
Sir, please inform me about assam forest admit card ????? Kab hoga forest guard exam . kab niklega admit card ? plz tell me sir ………. ……….kab hoga forest guard exam …. hoga ki nahi hoga pislibar ki tarah exam band kar diya tha . Sir, how can we know that admit card is released? Please reply. How can I get my hallticket ?